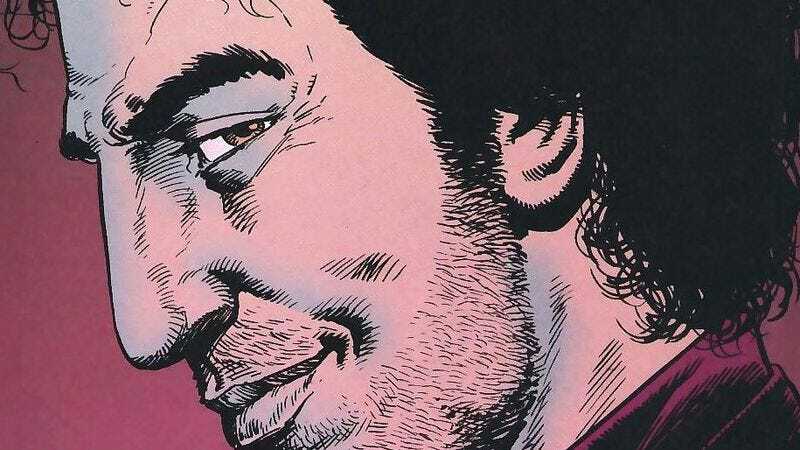 Variety is reporting that Steve Dillon, the comic artist best known for co-creating Vertigo’s massively successful Preacher with frequent collaborator Garth Ennis, has died. Like so many members of the “British Invasion” that swept American comicdom in the 1980s, Dillon got his start drawing for Doctor Who Magazine and the venerable pulp of 2000 AD. The latter paid tribute to its late artist on Twitter today, showcasing his talent for intense, almost grotesque emotion with one of his old Judge Dredd covers. In the late ’80s, Dillon made the move to the States to work for DC Comics. After bouncing between a few different projects (Skreecher, the post-Grant Morrison Animal Man), Dillon was placed on Hellblazer, depicting the supernatural adventures of chain-smoking magus John Constantine. While working on the Vertigo title, Dillon fell into sync with its then-current writer, Garth Ennis, setting off a collaboration that would define both men’s careers for the next decade. After Preacher finished up its run in 2000, Dillon and Ennis both moved over to Marvel. There, they took on The Punisher, with the pivotal Welcome Back, Frank transforming the character from a grim-and-gritty laughingstock back into a figure of menace, pain, and power. Eschewing superhero trappings, the series redefined Frank Castle as lone wolf and soldier, with a single goal: kill every criminal in his path. Dillon was 54; his death was reported by his younger brother, cartoonist Glyn Dillon, earlier today.